What is customer loyalty and how do you build it? Actually the word loyalty means a lot of different things to different people. Think about it. It can mean being devoted, dedicated, faithful or tried-and-true. You can’t really make customers “loyal”. What you can do is try and build a relationship with a customer that sends the message loud and clear that they’re important to you. The relationship is built on trust and trust is a customer expectation. Customers understand that your small business offers a service they need which will simplify their life. Putting the customer first is the way to build ongoing loyalty. Clearly the customer first model works well. Sending a handwritten thank you note is a great way to build a relationship with your customers. People notice when a green industry business takes time to let them know how much their patronage means. Going to your mail box and finding a handwritten note is especially unique in this day and age when people get very few personal letters in the mail. If writing a handwritten formal thank you note feels too time consuming, consider creating a small postcard with your logo and a short, but thoughtful message of thanks. No envelope needed. Sending an e-card is also a nice touch and can be done directly after the service. Customers appreciate working with a small business that goes above and beyond. Personal connections like this can help you maintain customers and increase your business. It’s well worth the effort. Get in touch with your customers to encourage them to give you some honest feedback about how they feel they were treated and how satisfied they were with the services you provided. This should be done immediately after the service, so their feedback is fresh in their minds and can be useful to you. Long and arduous surveys have very little appeal to customers, but try putting together a 2-minute satisfaction survey to get some quick feedback from your customers. Getting to know your customers is critical and will help you make changes and improvements. Loyalty from your customers leads to a long and continuous relationship. To succeed, a small business must find ways to respond to customers values and expectations and this can be done not only by gathering feedback from the customer, but also by analyzing the feedback and making changes based on their needs.Your customers are your allies. Treat them well and they will treat you well in return. Do you have an employee in your organization who is responsible for customer loyalty? Customer loyalty in a small business is absolutely the key to everything. 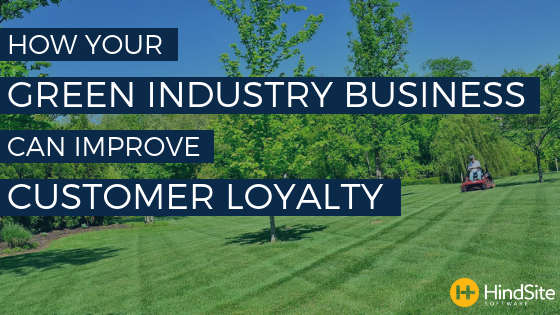 As a small business owner, why not make customer loyalty part of the job description so you can hold someone accountable for focusing on ways to build connections with customers. • The way your business communicates with your customers. • Managing and tracking how quickly you respond to issues or concerns. • Measuring how long it takes you to respond to your customers’ demands. Keeping the lines of communication open will help you build a mutual trust between you and your customers. It’s a relationship that needs to be nurtured continuously. A small business that makes customer loyalty a priority is likely to have customers who stay with them for the long haul. Achieving long-term loyalty from current customers will be very beneficial to you and your small business. If you make one person responsible for customer loyalty, you’re more likely to be successful. Are you performing and delivering what you promise? What are your customers needs and wants? Will your customers recommend your services to other people in their lives? You want and need your customers to bring you repeat business. They can help you expand your business by letting others know how happy they were with the services you provided. Word of mouth is extremely important. Analytics can help you answer many questions you might have about customer satisfaction and also help you determine how best to make changes that will increase your customer base. A customer satisfaction survey can give you benchmarks to work with. The data collected will assist you in determining the improvements that may be necessary to build your business for future growth. At HindSite, we review our Support customer satisfaction metrics weekly to determine how we’re doing. We use post-support surveys to understand how we did. If we see lower than expected scores, we dig deeper to learn why and create an action plan to fix any issues we uncover. If you aren’t measuring, it’s hard to really uncover issues – until it’s too late. If you own a service business, a great way to get some quick metrics is to send a post-service survey. But even if you don’t have an electronic solution, send a postcard or email follow-up asking for feedback. Without customers, your business can’t survive. Gaining people's long-term loyalty can have big payoffs and sacrificing your customers for internal policies can be devastating to a business. Examine every customer touch-point and see if there are ways to improve your customer interactions. Create training programs to teach employees how to please customers. Consider your processes to ensure they are customer-friendly. And set a goal that relates to your metrics so everyone knows you’re serious about customer satisfaction.